The PPP unanimously decided in about 1994-5 to propose to the Select Committee on Consti-tutional Reform established by the Sixth Parliament (1992-97) that a president should serve only two terms. The pacu is a fish related to the pirhana. The sweet water pacu has fearsome, human-like, teeth. Public rage in Georgetown continues to grow and expand as last Thursday’s massive demonstration shows, even as the government has finally been forced to intervene in the parking meter fiasco. No one doubts the dire need of the city council for resources. Its current income from rates and taxes is inadequate to maintain even the basic services it now provides. The ruling elite in the United States, supported by those of Europe, are becoming apoplectic at the prospect of a rapprochement between the US and Russia, which could lead to the lifting of sanctions against Russia. 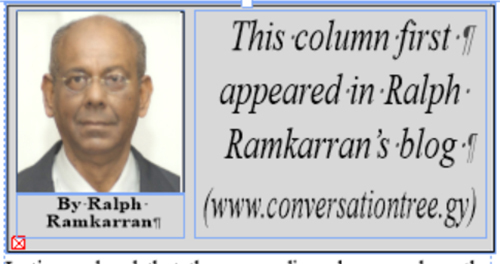 The Guyana Chronicle’s obscene calumny against Chancellor of the Judiciary Carl Singh, over several months and getting worse, its contempt of court and the government’s intimidation of the judiciary have become deeply troubling. Three of the four dailies on Friday headlined the second oil find by ExxonMobil at a well called Payara-1. I recall that long before a year had elapsed of Mrs Janet Jagan’s presidency, an outcry arose regarding her failure to hold a press conference. A portent of what will happen in 2017? On December 29 the Attorney General’s Chambers issued a statement asserting that the lease that had been granted to the Cheddi Jagan Research Centre (CJRC) in connection with the property in Kingston, Georgetown, known as ‘Red House,’ was invalid. It should be of some significance to Christians that God’s message was not in “a raging whirlwind or a devouring fire” (Phillip Yancey quoted by Peter Wehner, NY Times December 24). Yesterday morning the Stabroek News reported that Plaisance businessman, Kenneth Earle, was shot twice and robbed of $4 million after leaving a city bank. Guyana’s economy is declining. The growth rate fell this year and the projection for next year is modest. Since it became known that Dr Steve Surujbally will be retiring shortly as Chairman of the Elections Commission, popularly known by the acronym, Gecom, there has been a flurry of activity in connection with the appointment of a new Chair. The world woke up to the news yesterday that Fidel Castro had died. Many may remember that the Judicial Service Commission (JSC) recommended the appointment of prominent lawyer Miles Fitzpatrick as an acting judge in the early 1970s. Against all expectations, Donald Trump was elected as the 45th President of the United States of America. The government has expressed concern about the level of gun ownership and has linked private gun ownership to the high crime rate involving the use of guns. Minister Winston Jordan’s outburst at Auditor General, Deodat Sharma, a constitutional office holder, was unusual. The President’s address to the National Assembly was disappointing. The expectation was that he would use the occasion to announce the Government’s legislative agenda wrapped around policy initiatives for the next parliamentary year. October 5, 1992, was an historic day for Guyana – the day when democracy returned in free and fair elections for the first time in twenty-four years. The Investiture Ceremony at the National Cultural Centre on Wednesday last was an uplifting event. As China celebrates its National Day, it is dealing with complicated challenges on multiple fronts. The frightening reality is that the race for the presidency in the US is so close, and getting so much closer, that Donald Trump may well win the presidency. For over 50 years state authorities have continually lamented that Guyana has one of the highest percentages of road deaths in the world. A liar, racist, demagogue and misogynist is the presidential candidate of the once great Republican Party. In 1838, as former slaves were celebrating the abolition of slavery the British colonial empire, Jesuit priests of Georgetown University in Washington DC, in the US, were selling 272 slaves to Southern estates to raise funds for the university. The government has deemed as suitable the bond owned by Linden Holdings in Sussex Street, Georgetown, which it contracted to store pharmaceuticals at $1,200 a square foot, when a bond for $228 a square is available. 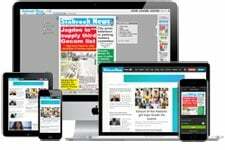 The above headline to this article was borrowed from yesterday’s Guyana Chronicle, which reported on an assessment conducted by the United States Agency for International Development (USAID). 70,000 sq. ft = $16 M; 10,000 sq. ft. = $12 M! Questioning of the Minister of Health by opposition members last Monday on an item seeking approval for $31,080,000, revealed that the sum was intended as expenses for renting a bond for the storage of pharmaceuticals. The official information is that Guyana’s petroleum deposits are estimated to be equivalent to 800 million to 1.4 billion barrels of oil from the results of two wells. Accusations of racial discrimination in Guyana’s politics by Guyanese politicians are nothing new. The National Population and Housing Census was conducted in 2012. Published in 2014, it showed a decrease in the population from 751,223 in 2002 to 746,955 in 2012. Jeremy Corbyn is probably the first person to have won the leadership of the British Labour Party on a campaign that advanced a left agenda. The report of the Steering Committee on Constitutional Reform (SCCR), appointed by the government and headed by attorney-at-law Nigel Hughes, was handed over to Prime Minister Moses Nagamootoo in April. A recent exchange of six letters took place between Tacuma Ogunsaye and Clairmonte Lye, contributed to by Manzoor Nadir, in SN between the June 22 and July 2 triggered by Mr Ogunseye’s claim that Dr Roger Luncheon allegedly withdrew an offer made by Dr Cheddi Jagan to Professor Clive Thomas to be the Minister of Finance. The results of the referendum held in Britain to determine whether or not it should remain in or leave the European Union (EU), has been won by voters who supported the leave option. Bryan Hunt has proven that you don’t have to dress like a diplomat to excel at being one. It appears as if the Georgetown City Council has already decided in principle to install parking meters in Georgetown for the purpose of creating an additional source of revenue. The right to question took centre stage last week in the National Assembly. 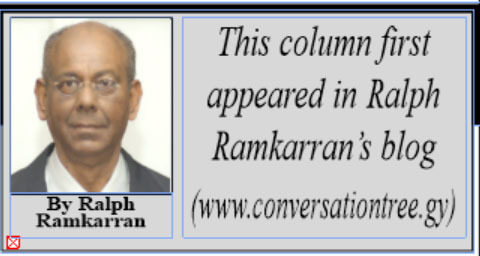 The word ‘Pharaoh’ and other abuse reverberated around downtown Georgetown a week and a half ago, directed to an embarrassed Mr Bharrat Jagdeo. Inspired by events that were occurring in the wider world and influenced by progressive views while he was a student in the United States, Dr Cheddi Jagan returned to Guyana in 1943, then British Guiana, intent on becoming politically involved on behalf of the poor and disadvantaged. Last Monday General Secretary of the PPP, Mr Clement Rohee, reacting at his press conference to questions about that morning’s SN’s headline ‘PPP executives jockeying for top position – Jagdeo, others seeking to consolidate support before crucial congress,’ deemed the media as “stray dogs, going by the smell of things and rummaging the PPP neighbourhood for new and old juicy inaccuracies and speculations.” The article in SN and the questions from the media obviously touched a raw nerve. John Gladstone, the owner of Plantation Vreed-en-Hoop, was regarded as a prime mover for indentureship. The recent publication of the forensic audit into the Gold Board has raised concerns about its operations. It takes a certain mindset for a person to believe that he or she has the right to determine what information, otherwise lawful, that the citizens of Guyana should receive. The Advisory Committee, recently appointed by the President, has constitutional responsibility only in relation to persons who have been sentenced to death. The Leader of the Opposition, Mr. Bharrat Jagdeo, told the press that he and Minister of Social Cohesion, Minister Amna Ally, with the objective of resolving the political impasse that occurred as a result of the PPP and APNU obtaining an equal number of seats in five NDCs and one township elections, had agreed that the mayor and chairs of the NDCs should rotate annually. President David Granger’s swift and decisive action, tersely announced, to terminate the appointment of Mr Brian Tiwari as a government adviser on business, dramatized an event that has titillated the political classes and has energized the media. The results of the local government elections should give no political comfort to our political parties. Once upon a time, during the colonial era, Guyana had a local government system that functioned.